Valletta born, Ivan Zammit started his career with Valletta in season 1988/1989. He played for Zurrieq FC, Floriana FC and Hamrun Spartans between 1989 and 1993. 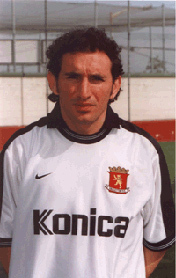 Zammit rejoined Valletta in season 1993/1994. In season 1997/1998, Ivan moved to B'Kara FC, before returning back to Valletta in season 2000/2001. He remained with the Citizens until season 2003-04 before moving to Marsaxlokk FC.In season 2005-2006, Zammit joined Hamrun Spartans. During his stay with the Spartans he took part in 14 games and scored a goal. Throughout his career, Ivan Zammit, better known as "Is-Sei", won several major honours, including two clean sweeps of all honours with Valletta, i.e. the five cups (League, Trophy, Lowenbrau, Super 5 and Super Cup) in season 1996/1997 and the six cups in season 2000/2001 (League, Trophy, Centenary Cup, Lowenbrau, Super 5 and Super Cup).